Boating advocacy group seeks examination of county line item and potential effect on revitalization plans. Editor’s Note: The print version of this article incorrectly stated a March 27 letter was sent to Supervisor Lisa Bartlett from the Dana Point Boaters Association. The letter was actually sent from the Dana Point Harbor Advisory Board. We apologize for the error. DANA POINT — A boating advocacy group has asked an Orange County committee to review what it calls “the single biggest routine expense” for Dana Point Harbor, according to a letter sent to county officials in mid-March. Dana Point Boaters Association (DPBA) forwarded a letter to members of the Dana Point Harbor Advisory Board on March 17, specifically requesting the committee consider an agenda item on funding for services provided by the Orange County Sheriff’s Department. The advisory group sent a second letter to Orange County Supervisor Lisa Bartlett, echoing the first letter’s request; the letter was sent March 27, one day after members of the Dana Point Harbor Advisory Board met. The review would specifically look into the funding and its potential effect on Tidelands Fund 108. DPBA Secretary Alan Johnson, in his March 17 letter to the advisory board’s leadership, stated harbor patrol operations is expected to ding Fund 108 for $4.5 million in 2018, making it “by far the single biggest routine expense” of the tidelands account. A planned multimillion-dollar renovation of Dana Point Harbor adds to the advocacy group’s concerns about operational expenses. “The Dana Point Harbor budget exists independently without subsidy from the Orange County general fund or any other external funding source. At a time when we are about to exert enormous stress on our harbor economy with the $300 million harbor renovation project, we are seeking relief wherever possible to protect the viability of our harbor economy and ensure continued affordable public coastal access,” Lenthall told The Log. DPBA’s March 17 letter was shared in its recent newsletter blast and made clear the request for review was not intended to raise alarms but instead spark a discussion on possible solutions. 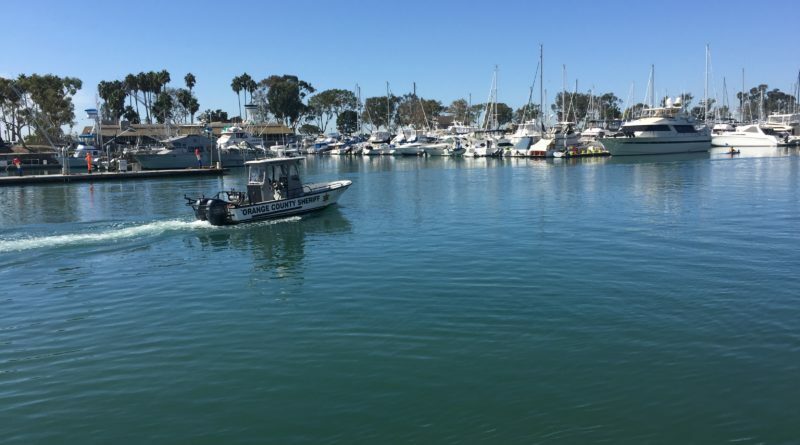 Inquiring about the Sheriff’s Department operations at Dana Point Harbor could provide insight on how potentially increasing expenses would affect local boaters, according to DPBA. “We desire to more fully understand how the projected escalating expenses from Fund 108 for OCSD harbor patrol services will affect the Harbor Revitalization Plan, the future impact on slip rates and tenant lease fees, and the affordability of continued public coastal access,” the March 27 letter from DPBA Dana Point Harbor Advisory Board to Bartlett stated. DPBA representatives also made it clear they are seeking a review of harbor patrol funding to ensure the planned revitalization of Dana Point Harbor won’t put an undue burden on Tidelands Fund 108. The item – which DPBA labeled as “Dana Point Harbor Patrol funding and operations and their projected impact on the future financial viability of Tidelands Fund 108, in particular in the context of the Dana Point Harbor Revitalization Plan” – was discussed at the March 26 advisory board meeting. Dana Point Harbor Advisory Board will meet again on April 23 at 5 p.m.